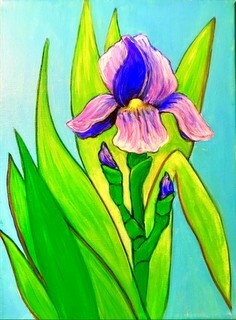 Paint this beautiful 11″x14″ canvas Iris painting with easy to follow instructions. No artistic abilities needed to create a floral “Masterpiece”. All instructions and supplies are included. Plan to make a night of it and arrive early for dinner. The Greek Village has fantastic food.